Geneseo Veterinary Service has been located on the corner of IL Hwy 82 and Rt. 6 in Geneseo since 1972. For over 45 years, clients from Geneseo and the surrounding communities have trusted Geneseo Veterinary Service with keeping their family pets healthy and happy and their livestock productive. We are a full service mixed animal practice (which means we treat pets and farm animals). Our practice is equiped to provide your beloved pet with the latest in medical and surgical care, as well as advanced diagnostic capabilities such as digital radiology, ultrasound, and a full in-house laboratory. Most large animal work is done on the farm, while pets are seen in our office. Contact us today to learn more about what services we offer for you and your animals! Our job is not only to treat your animals when they are not feeling well, but more importantly to help you learn how to keep your best friend happy and healthy. We proudly serve the Geneseo, Cambridge, Atkinson, Colona, and Quad City areas. 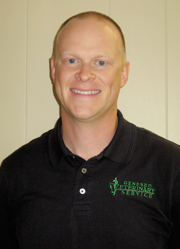 Dr. Grant Venema grew up in Morrison, IL and later moved to Geneseo where he completed high school. As a boy, he loved reading the memoirs of veterinarian James Herriot and dreamed of one day having a mixed animal practice of his own where he could make a lifetime of memories helping the people and animals of his community. He received his bachelor’s degree from the University of Illinois at Champaign-Urbana in 2004, and graduated from the University of Illinois College of Veterinary Medicine in May 2009. After graduation, he practiced in Atkinson, IL and the surrounding areas. In June 2013 he purchased Geneseo Veterinary Service from retiring veterinarian Dr. Roger Pray. In his free time, Dr. Venema enjoys outdoor activities with his family such as fishing, camping, and hiking. He lives in Geneseo with his wife Erica, their three children, and their dog Penny. 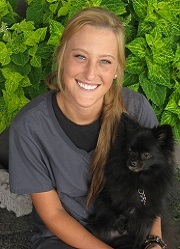 Erica is from East Moline, IL and is the practice manager for Geneseo Veterinary Service. 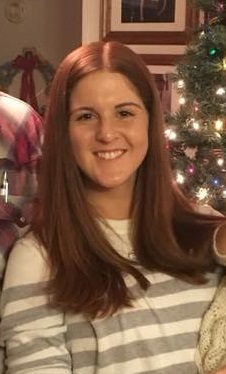 She attended the University of Illinois at Champaign-Urbana and graduated in 2003. Erica and Dr. Venema have been married since 2002. 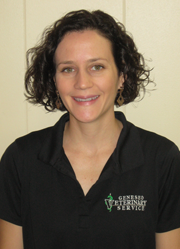 She is an essential "behind the scenes" component to Geneseo Veterinary Service, allowing Dr. Venema to focus on medicine and surgery while she takes care of the myriad other tasks involved with operating a small business. In her free time, she enjoys baking, reading, and spending time with family and friends. 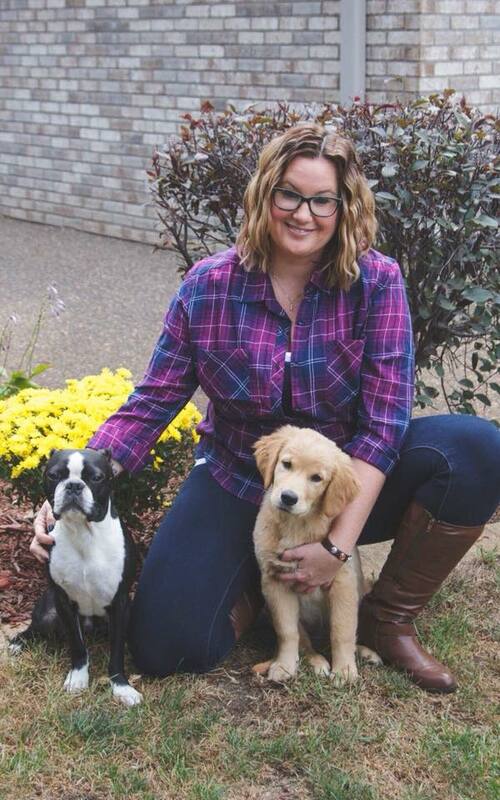 Amber is from Atkinson, IL and has been a part of Geneseo Veterinary Service since January 2016. She received her Veterinary Assistant certificate in 2014 and went on to work at a boarding facility prior to beginning her career with GVS. She currently lives at home with her parents and 2 younger sisters. She has 2 cats, Norman and Naomi, a Pomeranian, Koda, and a Border Collie, Gracie. Amber enjoys painting and spending time with her family in her spare time.